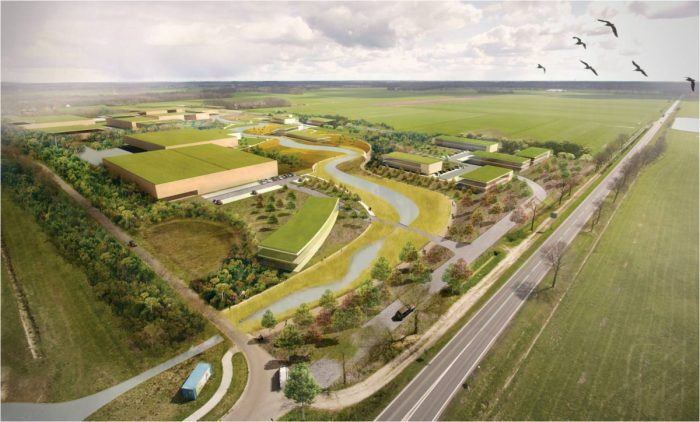 Ecomunitypark in Oosterwolde is the industrial park of the future: an ecological working landscape focused on innovation, entrepreneurship and sharing of knowledge and facilities. The park will be one of the most beautiful working landscapes in the Netherlands, with exceptional spatial qualities. All businesses in this park are disconnected from the sewer system, green roofs ensure climate regulation and water and greenery provide cooling and water storage.